I’ve always had the intuitive feeling that I am healthier when I am happier. And I get ill sometimes when I am really down. Now a new book by Harvard neuroscientists Richard Davidson and Sharon Begley, “The Emotional Life of Your Brain: How Its Unique Patterns Affect the Way You Think, Feel, and Live, and How You Can Change Them,” brings proof. By “resilient”, the authors mean people whose brains adept ‘tribulation’ without depression or emotional decline. Other research, along with that of Davidson, shows there is a direct physical connection between the emotional centers of our brains and other parts of our bodies that control our health and wellbeing. The message here, I believe, to everyone is simple. Be happy. Do things that make yourself happy. You’ll be healthier as a result. That doesn’t mean pure selfishness. For many of us, making other people happy makes US happy too. The effect is a ‘multiplier’ – help others, this helps you be healthier, helps others be healthier, they in turn help others…and so on. Who knows where this powerful ‘wave’ will end? In this blog, I have written countless words severely critical of Europe’s blundering myopic weak-kneed leadership. Is there nothing good I can say about the EU leadership? There is. 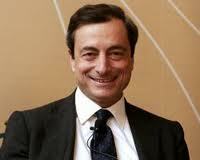 Mario Draghi is the new head of the European Central Bank. When he took over the reins from Trichet in December, he made an immensely courageous move, that saved Europe and probably saved the global economy. With Greece under fire, paralysis afflicted the European capital markets at the time. When banks can’t borrow, they won’t lend either. And businesses need credit. A surefire deep crisis was brewing. Draghi cut through the economists’ waffling and acted decisively. True, the plan was in the works before he took over. But Draghi instantly implemented it, and with full force. Anything less would have failed. Europe is still in trouble, and nearly all of Europe is in recession, including Germany. Imagine, then, where we would be, had it not been for Draghi’s decisive action to turn on the liquidity tap full force. The noteworthy part of Draghi’s action was in those five amazing words: “As Much As they Wanted”. Banks could borrow as much as they wanted. Unlimited credit. Few banks borrowed massively ($647 b. is not a huge sum, compared to Bernanke’s quantitative easing); but the fact that they could was crucial. And Draghi is now considering a second round of such lending. At last – an economist, and a European leader, who gets it. And an Italian! Innovator: If the Duckling Can Do It – You Can Too! duckling leaps into the unknown – 30 m.
A BBC nature documentary, Planet Earth, has wonderful footage of birds, animals and plant life. In one of the episodes, a female mandarin duck nests high in a tree, 30 meters above the forest floor. Her ducklings hatch. The mother duck leaves the nest, flies to the ground – and calls to them! The ducklings must leap from the nest, to reach their mother, and land on the forest floor, and when they do she will lead them to the lake and to food. One by one, the ducklings take the leap into the unknown. They cannot fly. And they land hard. But amazingly, these balls of fluff bounce up, and follow their mother. They all make it, including the last one, who seems fearful and hesitant – but this is a leap of life, because to remain alone in the nest is to die. Innovation is like the ducklings’ leap of faith. We don’t really know what lies in store, nor can we know. We have faith in our own abilities and in the skills of those who leap with us. We know that others have taken the leap before us, and many have survived. And we know that the consequences of not taking the leap is to live, in a kind of death, without ever knowing if we could have made the leap successfully – a gnawing doubt that may be worse than death. Check out the leap of the flying ducklings on the Internet. Think of them when you face a key decision. Take the leap. The landing is softer than you think. The ducklings land on beds of soft leaves. The mother duck knows this. Evolution has taught her that this is her best chance to reproduce and raise live ducklings. Evolution has taught the ducklings that the best way to survive is to trust their mother and leap. The little flying duckling reminds us that in the end, life is about whom to trust – ourselves, and those we love. I wish I had seen that little duckling’s leap much earlier in my career. Microsoft & Nokia: Another Desperate Comeback! Microsoft missed the Internet. Bill Gates rallied the troops, threw money and 20,000 development engineers at the problem, and erased Netscape, replacing its browser with Internet Explorer. Nokia missed the smartphone, even though it led in developing it. A year ago, Nokia’s head of smartphones Jo Harlow told journalists in Barcelona that Microsoft and Nokia had established an alliance to develop smartphone software to replace Symbian, the Nokia operating system for smartphones, with Windows. The deal was done so hastily that when announced, it did not exist – there was only a verbal agreement and handshake between the two comeback companies to cooperate. Harlow’s role was appropriate. She had been captain of Duke University’s women’s basketball team in 1982-3, and engineered several great comebacks. She promised to deliver two new Windows-based phones by year end. And she did. Nokia still trails. It has a 12 per cent market share in smartphone operating systems, behind Android (Google) with 51 per cent and Apple. RIM (Blackberry) has 9 per cent. Nokia’s Windows smartphone Lumia sold 1 million by end 2011, a very small number. But Nokia recently announced three new Lumia phones, including one (Lumia 900) with an amazing 41-pixel camera (best in the business) that uses Symbian (innovation in the junkyard) and one that runs on LTE (Long Term Evolution), the next cellphone technology after 4G. Apple as yet has no iPhone that uses LTE. Nokia has a long way to go, to fully recover from its disastrous defeat by Apple and Google. But we should recall prizefighter Muhammad Ali, who fought George Foreman to regain the world heavyweight championship, in Zaire (now DRC Congo), in 1974. Ali let Foreman pummel him for eight rounds, leaning against the ropes, until Foreman was exhausted. 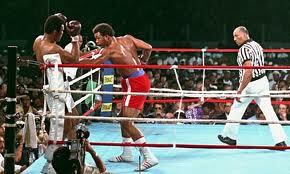 Then in the last rounds, he defeated Foreman to regain the title. Nokia (and Microsoft) seem to be like Ali’s “rope a dope” strategy. Let the opponent pummel you, then fight back. It’s a weird strategy for innovation. And unlike Ali, Nokia and Microsoft employ rope-a-dope unintentionally – they simply miss trends unintentionally. But never count out companies with talented people, good leadership and deep pockets. Somehow, they just keep coming back. The key for Nokia will be the big US market. Nokia has been erased in America. If it can pull a comeback there, its chances for the future are good. If not? Well… not every fighter pummeled on the ropes wins. New York Times columnists David Brooks and Paul Krugman (Economics Nobel Laureate) do not coordinate their columns. But their weekend columns (Feb. 25-26) were closely related. Brooks’ point: American is indeed a welfare state, despite what everyone says, but it is a ‘failed’ welfare state. Krugman’s point: Deep down, even Romney and Republicans believe that you cannot ‘austerity’ your way to prosperity. Brooks’ simple point is this. You can provide services to your citizens in two ways. The government can provide them, thus spending money. Or, it can make the private sector provide them, by offering ‘tax credits’ (e.g. huge tax credits to businesses for providing health care to their workers). Tax credits is also known as ‘tax expenditure’, because, it makes no difference to the government budget if the governments spends another buck or reduces taxes by a buck. Sweden but ahead of (!) Italy, Austria, Holland, Denmark, Finland and Canada, with America’s average in govt. spending above that of the OECD! So, what is the problem? The problem is, tax credits are incredibly inefficient. When you provide health care by giving tax credits to employers, health care offered by for-profit health care providers, you deprive those without jobs of health care and you make something that is basically non-profit and ‘public’ in nature into a private for-profit good – a disaster. That is why America spends so much on health care, and gets so very little. Some things are fundamentally ‘public’ in nature and have to be provided by government. Health care is one of them. All the conservative Republic bluster about big government and cutting spending was revealed to be hypocrisy, when Mitt Romney recently made his ‘gaffe’ (a gaffe, Krugman says, is when a politician tells the truth). “If you just cut [spending], you’ll slow down the economy” Romney said. Of course he later backtracked. But the cat was out of the bag. So, putting Brooks and Krugman together: The Republican worldview is hypocritical and misguided. America IS a welfare state, that’s a good thing, but incredibly bad at it. Simplify taxes, eliminate the credits and loopholes, and provide citizens directly with what they need. This will stimulate the economy and make people better off. In their few honest moments, even the Republicans agree. In his pathbreaking book Bowling Alone (2000), author Robert D. Putnam argued that the United States has lost much of its social glue, that once helped American society to cohere, and that we are in danger of becoming a nation of strangers to one another without adequate social bonds. Now comes Eric Klineburg’s book Going Solo, together with reporting in the NYT by Jason DeParle and Sabrina Tavernise. They note that more than 50 percent of American adults are single and 28 per cent of households consist of just one person. There are more single-person households than married-with-children households. And half the births to women under 30 occur outside marriage. In other words, not only general social bonds have disintegrated, but family and marriage bonds as well. As I am about to turn 70, I can attest (and have evidence from many others my age as well) that the key to happiness in later life is the love of spouse, family, children, relatives and friends. 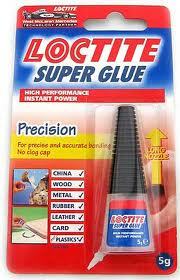 This is not only ‘social glue’, it is ‘happiness glue’. I have seen people retire in cold Northern American cities and flee to Florida for its sun and warmth, only to realize, too late, that they have lost (at times forever) crucial social glue of friends and family. The climate may be warm in Florida, but the society is aged, alienated and in many cases unhappy. And moreover, because of the preponderance of older people, Florida’s state budget can’t afford to provide even minimal social benefits to the golden agers. In some ways, social networks and Internet contribute to the lack of social glue. A computer screen is no substitute for face-to-face, yet many young people now seem to prefer the impersonal, non-commitment nature of screens to faces. If I could share some lifelong wisdom with young people, it would be this: Don’t undervalue your own personal ‘glue’. It’s hard to see sometimes. Strengthen it. Do good for friends and families. They will do good for you, too. In the end, you will find that your own personal happiness rests far more on this glue than on what you own. There is a strong and growing media bias toward reporting disaster /pain/famine/catastrophe and away from ‘good news’. Once the Christian Science Monitor tried to report mainly good news, and today all that remains is a moribund web site. Perhaps that is why the successes in Somalia (Somalia???) go largely unreported. Did you know that “Somalis enjoy one of the cheapest and most modern mobile phone networks in Africa” (Alex de Waal, Global NYT Feb. 22), because it has a self-regulated booming private sector. Sure, the central Transitional Govt. is corrupt. But, well, where isn’t it? And besides, people just ignore it. It exists only in a part of the capital city. The most successful part of Somalia is in the north, “far from the international community’s gaze”. There, the Republic of Somaliland exists. This is a breakaway part of Somalia, not officially recognized by other nations, but a well-functioning democratic state with a wise leader. Like Slovenia, which broke away from Yugoslavia before the ethnic strife, in 1991, Somaliland saw the chaos and decided not to join it. There have been two regime changes there, peaceful and democratic, one in 2003 and another in 2010. 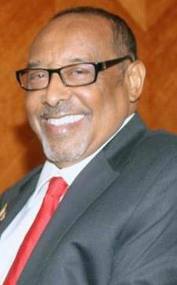 Somaliland has its own, stable currency, the Somaliland shilling. Its area is huge – larger than England. Its population is only 3.5 million and many Somaliland residents make their living by herding livestock, although tourism is also booming. And the West? It sees Somalia only as a basket-case and home for terrorism. Western governments focus on piracy and the Shabab terrorists, even though they have now retreated from Mogadishu, which is relatively quiet and stable. And the media too follow knee-jerk journalism, reporting mainly on the preconceived notion of Somalia synonymous with terror. Somalia represents the triumph of human resilience. Where democracy and central governments became corrupt and create failed states, people bounce back, fight to earn a living and build systems that replace those of failed governments. Once again, Western governments see Somalia through distorted lenses, fail to do their homework, and focus only on aspects that affect their well-fed behinds, the terrorists. And the media play into this. Tomorrow British PM David Cameron will call an international conference on Somalia. The focus? Drones, ships, anti-piracy, anti-terror…and yes, money for the corrupt failed Transitional Government in Mogadishu. “It won’t work,” says de Waal. Alex de Waal. “Getting Somalia right this time” Global NYT Feb. 22. Car Industry: Germany Takes the High Road..and Wins! In business and economics, there is also a high road and a low road. The high road is the one where you pay high wages and create high productivity to compensate for it. The low road is where you pay low wages and accept low productivity. Unlike the song, in the car industry the high road wins. (In the song, the ‘low road’ is the less comfortable, but more direct, one). In Israel, after the Six Day War, hundreds of thousands of Palestinian workers became available for Israeli kibbutzim (collective farms). The kibbutz principle was never to use hired labor, but only kibbutz members. Some were tempted, broke their principles, and hired low-wage Palestinians to work in their fields and factories. Some stuck to their guns, and modernized, using technology to compensate for high wages. Guess which kibbutzim were more successful? The high road ones. They were more profitable, more viable, and failed less. And the same principle holds for cars. Today, according to articles in Forbes and in remappingdebate.com, by Kevin C. Brown, Germany made 5.5 million cars in 2010, while America made half that, or 2.7 million cars, even though Germany’s population is one-third that of America’s. In other words, Germany made ten times more cars per capita than America. Yet, here’s the catch, the average auto worker’s wage in Germany is $67 an hour; while in America, experienced workers earn half that, and workers in new non-union plants in the South earn $15. How then can Germany compete with the U.S., when its wages are in some cases four times higher? Answer: The high road. German auto workers come out of top vocational high schools and are highly skilled. They are given the latest in technology, in their assembly plants. They belong to one of the world’s toughest unions, IG Metall, but rarely strike. Their workers’ councils work with management to improve productivity and keep the plant efficient. 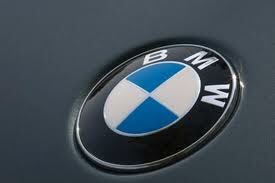 I once visited a BMW plant near Munich– it was a marvel of efficiency and the cars made there were top quality. America has no such vocational education. And it believes that unions are the problem, not the solution. It is not China’s low wages that drives China’s manufacturing excellence. It is, as it always is, the ratio between productivity and wages. And productivity is relatively high. It is best to fight low wage nations with high productivity, not with low wages. America doesn’t understand this, never has. Germany does. Why don’t American car companies benchmark Germany? Yes, German firms DO make cars in America, DO pay low wages there (in the South), and do battle unions fiercely. They adapt and adopt America’s low road. But they retain Germany’s “high road”, and BMW, Audi, VW and other firms are highly profitable. And their German plants are extremely profitable. They take the high road – produce high quality products, charge premium prices, pay high wages and demand equally high productivity. In global markets, if productivity in country A is half that in country B, then wages too will be half. To compete, you can either slash wages, as America does, or boost productivity. Which do you think is best for ordinary people who work for a living – the high road (high productivity and high wages) or the low road (low productivity and low wages)? Why then has America chosen the low road? And why do Republicans extol its benefits? Not only is the low road worse for workers, it is worse for owners of capital. Proof? Look at the profits BMW and VW are earning, compared to the near-bankruptcy of GM, Ford and Chrysler. Do those who extol the low road ever open their eyes and look around the world? If they did, they would see a very different reality from the one they believe in. The February issue of Scientific American has a feature on Harvard Univ. Professor Joanne Aizenberg, who founded the Aizenberg Biomineralization and Biomimetics Lab there. Aizenberg emigrated to America from Russia, via Israel. She got her Ph.D. from Israel’s Weizman Institute. Biomimetics is defined as “the study of the structure and function of biological systems as models for the design and engineering of materials and machines.” In other words: Through evolution, Nature has had many millions of years to perfect its creatures, its systems and its materials. Why not learn from Nature, study it carefully, and then apply what we learn to our own innovation, to solve human problems, rather than try to re-invent the wheel? 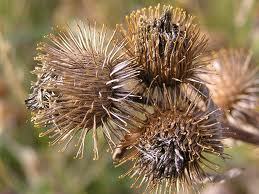 Swiss electrical engineer George de Mestral noticed burrs on a dog’s coat, in 1948. Thousands of people before him noticed the same thing, and struggled to remove them. de Mestral asked, why not make use of Nature’s brilliance, in attaching plants’ seed pods to animals in order to not to overcrowd the mother plants’ immediate soil? The result: Velcro! The pitcher plant lures insects with sticky pollen, then its slippery sides on its ‘pitcher’ cause the insect to slip down into the pool of water collecting at the bottom of the ‘pitcher’, where enzymes break down the insect and use it for nourishing the plant. Aizenberg has carefully studied what makes the sides of the ‘pitcher’ so slippery, and is using it to design slippery man-made materials. A Harvard press release notes: “After a rain, the cupped leaf of a pitcher plant becomes a virtually frictionless surface. Sweet-smelling and elegant, the carnivore attracts ants, spiders, and even little frogs. One by one, they slide to their doom. Adopting the plant’s slick strategy, a group of applied scientists at Harvard have created a material that repels just about any type of liquid, including blood and oil, and does so even under harsh conditions like high pressure and freezing temperatures.” The bio-inspired liquid repellence technology, described in the September 22 issue of Nature, should find applications in biomedical fluid handling, fuel transport, and anti-fouling and anti-icing technologies. It could even lead to self-cleaning windows and improved optical devices. The lotus plant is well known to repel water. In Aizenberg’s lab: “Inspired by this idea, we have developed a synthetic liquid-repellent surface—which we name Slippery Liquid-Infused Porous Surface (SLIPS)—that consists of a film of lubricating liquid locked in place by a micro/nanoporous substrate. …this can be used to repel immiscible liquids of virtually any surface tension.” In other words: a truly waterproof raincoat. Innovator: Do your homework. Study how Nature solves its problems. See if you can learn from it. Remember, human innovators are impatient; they have at most a year or two to develop an innovation, without ever knowing if it really works or is marketable. Nature has millions of years, and tries infinitely numerous experiments before one of them actually works, in giving species an edge to reproduce. EU Debt Crisis: Germany Is Next? Germany and its Chancellor, Angela Merkel, have led the charge in imposing fiscal austerity on Greece (with draconic measures such as slashing the minimum wage by 20%). Germany will sow what it reaps. The drip-by-drip Chinese water torture imposed on the Greek people will end when Greece defaults, as it must. Meanwhile, Germany’s economy is now weakening. And a German expert has admitted that Germany originally supported creating the euro to stop its neighbor Italy from devaluing its lira and competing with VW. The German self-interest that created the euro is still very strong. Only it is now self-defeating. If you look at the ratio of debt to GDP (see below), you see that at 82%, Germany is in the top 9 in Europe, roughly equal to Hungary which is in deep fiscal trouble. 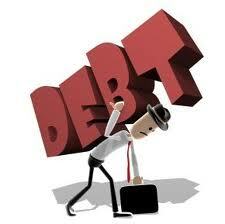 All countries with debt ratios over 80% need strong economic growth to enable their fiscs to pay their debts. No European country will achieve such growth, unless the EU works together to stimulate the entire EU economy. Narrow self-interest, like that practiced by Germany, is failing miserably. The strong (and justified) anti-German sentiment in Greece will in the end doom the Euro bloc perhaps even more than Greece’s burdensome debts themselves. And incidentally: Has anyone checked to see how tiny Estonia has kept nearly debt-free, with debt to GDP of only 6 %? What has Estonia done that other countries (including the arrogant Germany) can mimic?